After center Ryan O’Reilly acknowledged two weeks ago that a losing culture crept into the Sabres’ locker room, perhaps landing the No. 1 pick could provide motivation, general manager Jason Botterill told The Associated Press by phone. “We talked about change, and everyone assumes that’s like bringing in new players or bringing in new coaches, but it’s also changing things , how you go about your training,” said Botterill, who took over in May after GM Tim Murray and coach Dan Bylsma were fired. The Sabres will pick first for the third time in team history, and first since selecting Pierre Turgeon at No. 1 in 1987. Buffalo also lands the top pick after losing the lottery each of the previous two times the team finished last and settled for the No. 2 selections in both 2014 and ’15. 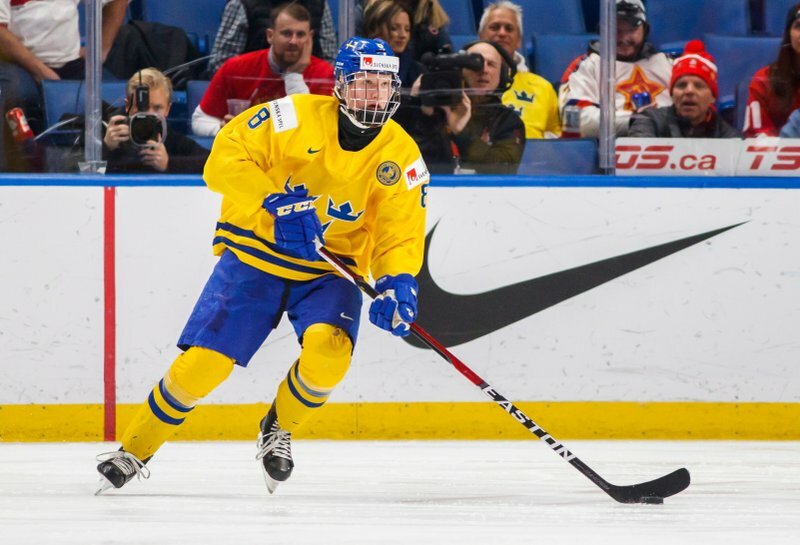 Scouting bureau director Dan Marr regards Dahlin as “the clear-cut No. 1, pro-ready prospect.” He has represented Sweden at the past two World Junior Hockey tournaments, including a silver medal finish at this year’s tournament held at Buffalo. And Dahlin also had an assist in two games at the Pyeongchang Olympics in February.